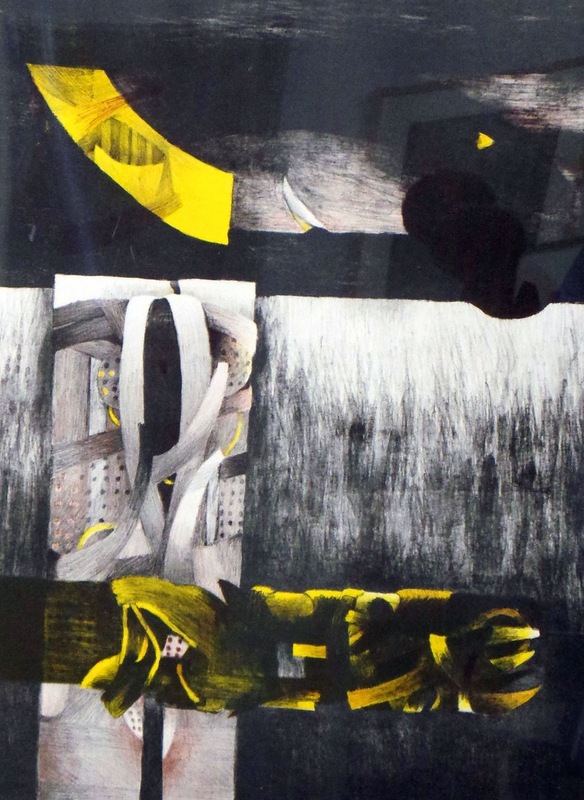 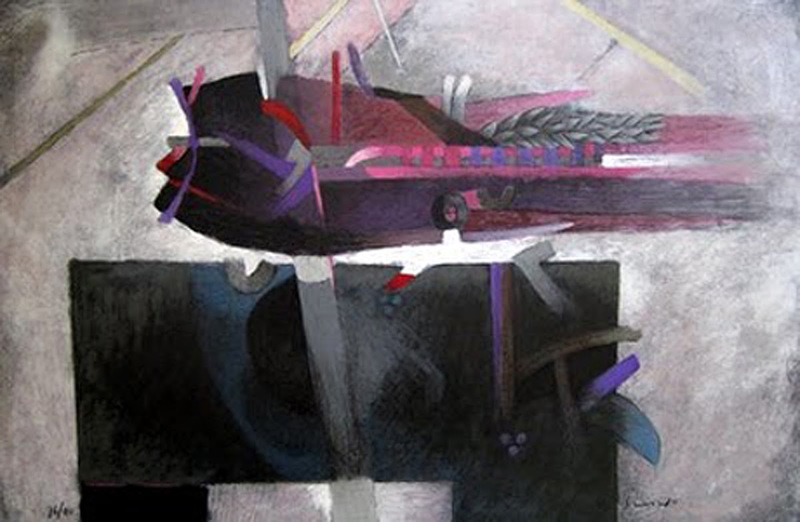 "Fernando De Szyszlo Valdelomar (born July 5, 1925 in Lima) is a Peruvian artist who is a key figure in advancing abstract art in Latin America since the mid-1950s, and one of the leading plastic artists in Peru.He first studied painting at the School of Plastic Arts of the Catholic University of Lima. 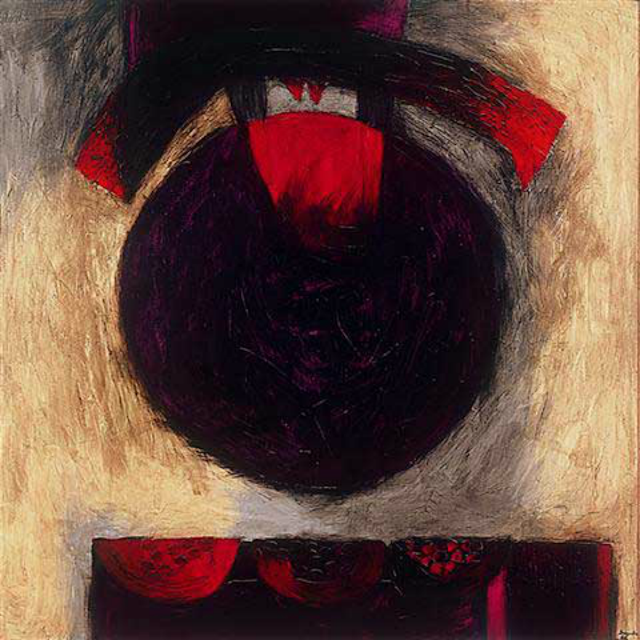 Then, in 1948 he went to Paris where he held his first exhibition the following year. 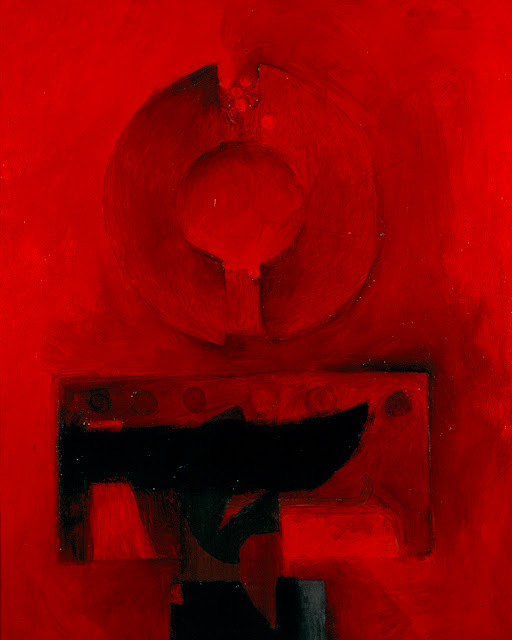 He spent the next few years in both Paris and Florence, studying the classic and 20th century masters. 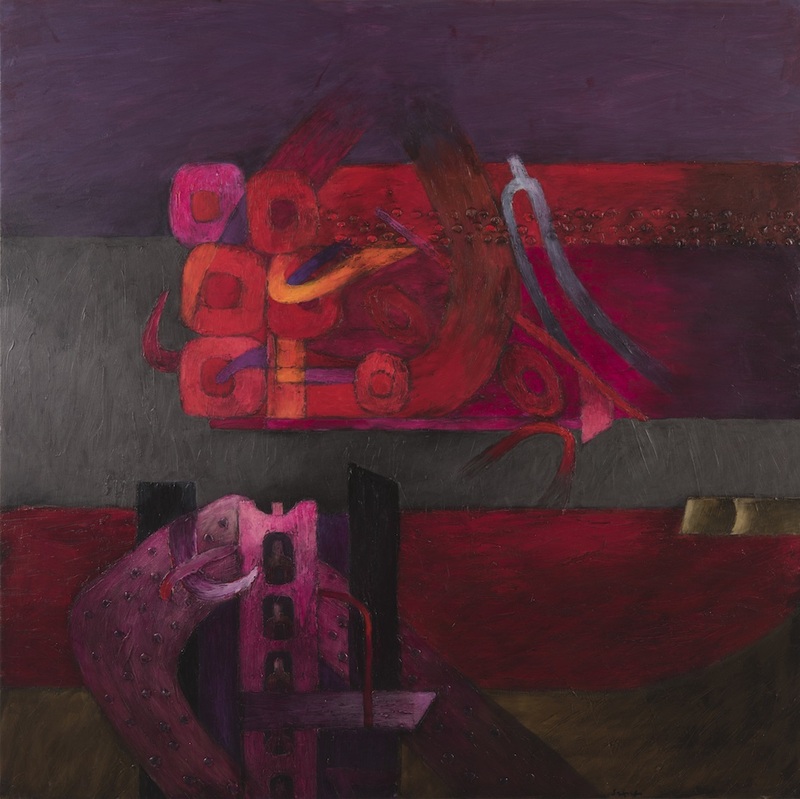 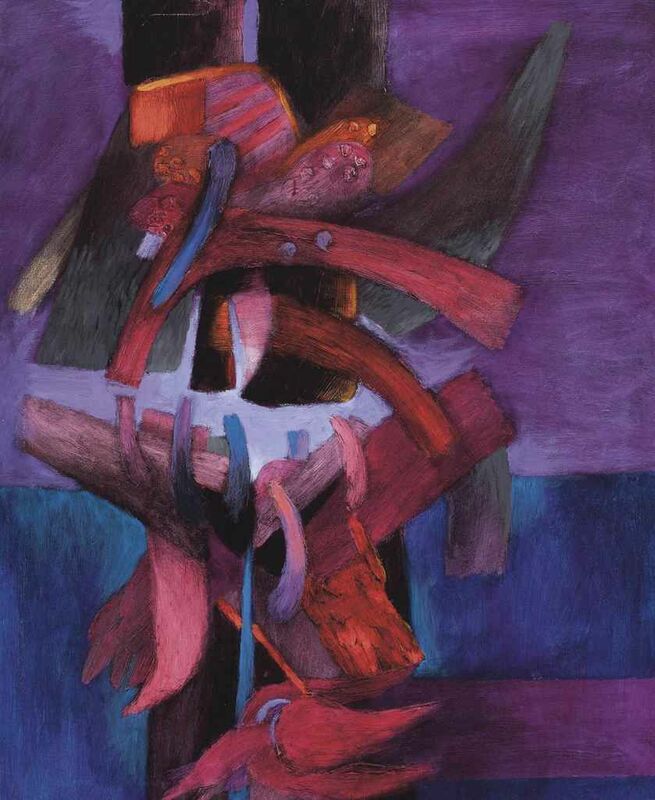 Upon his return to Peru in 1951, Szyszlo became a major force for artistic renewal in his country, breaking new ground by expressing Peruvian Pre-Columbian themes in a non-representational style. While in Paris he met Octavio Paz and André Breton and frequented the group of writers and intellectuals that met regularly at the Cafe Flore engaging in vigorous discussions on how they could participate in the international modern movement while preserving their Latin American cultural identity. 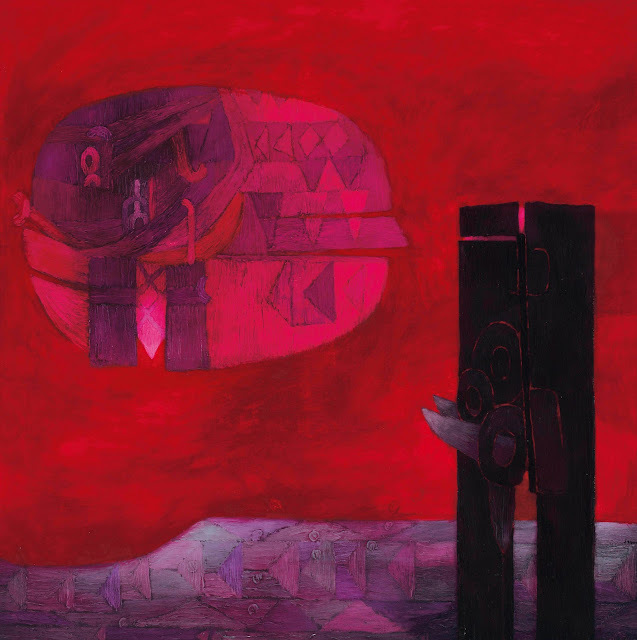 Upon his return to Peru, Szyszlo became a major force for artistic renewal in his country breaking new ground by expressing a Peruvian subject matter in a non-representational style. 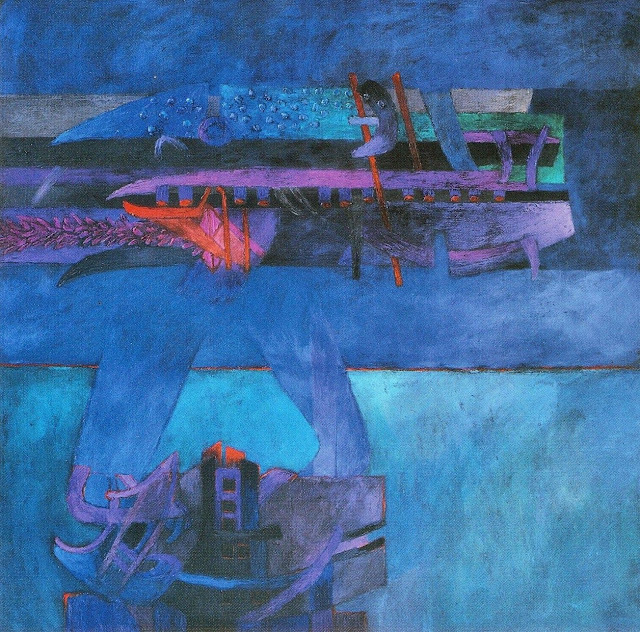 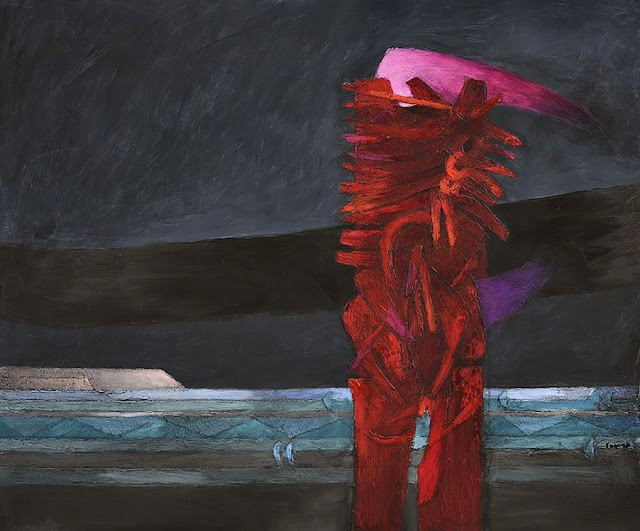 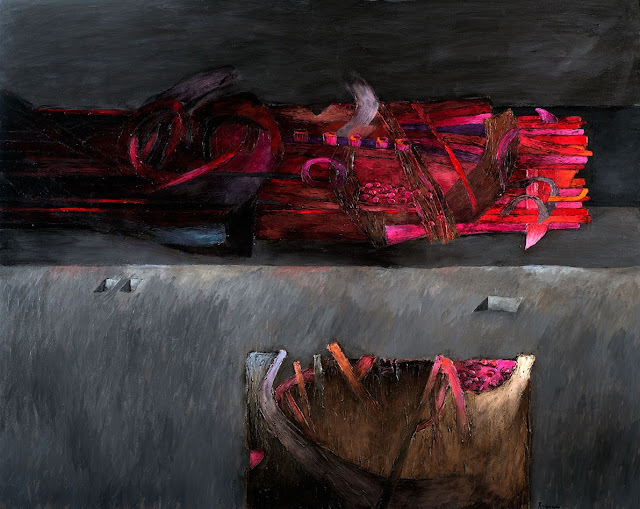 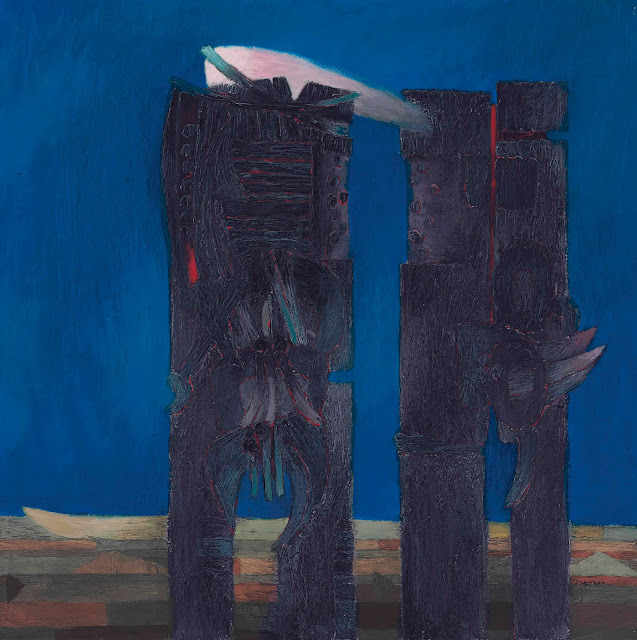 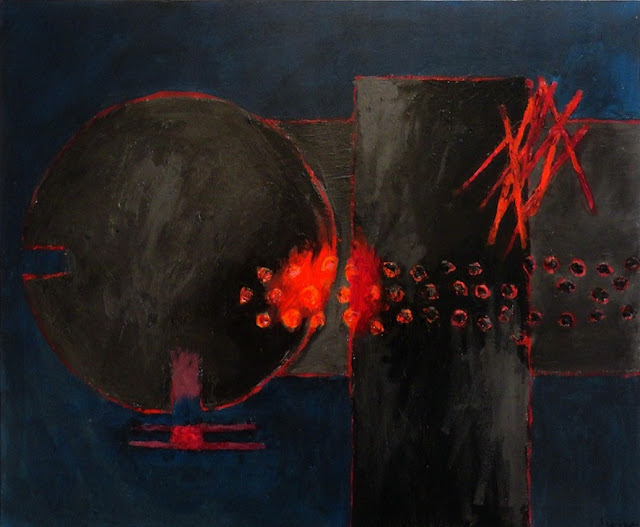 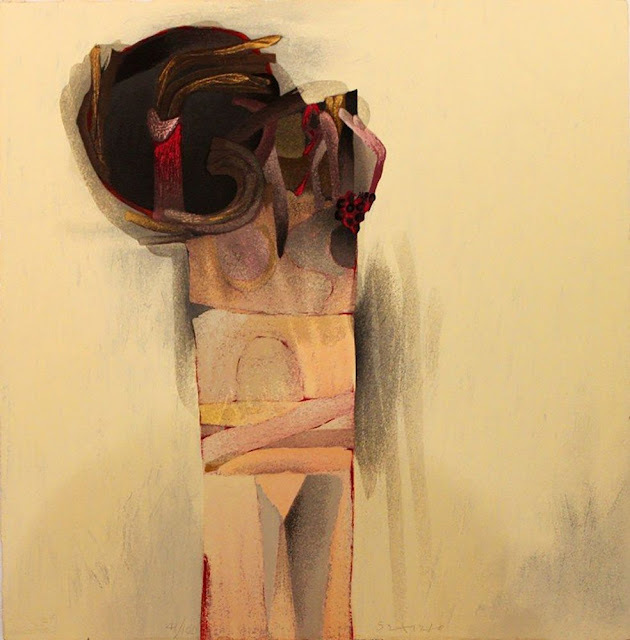 He was married to a Peruvian poet Blanca Varela, with whom he has two children.His use of color, rich textural effects and a masterly handling of light and shadow are hallmarks of Szyszlo's work which links ancient rituals, myths, and the geography of sea and desert landscapes often associated with pre-Columbian sacred sites to a modernist artistic language.Szyszlo has had over 100 individual exhibitions in museums and galleries in Latin America, Europe and the United States and has participated in the prestigious international biennials of Sao Paulo and Venice. 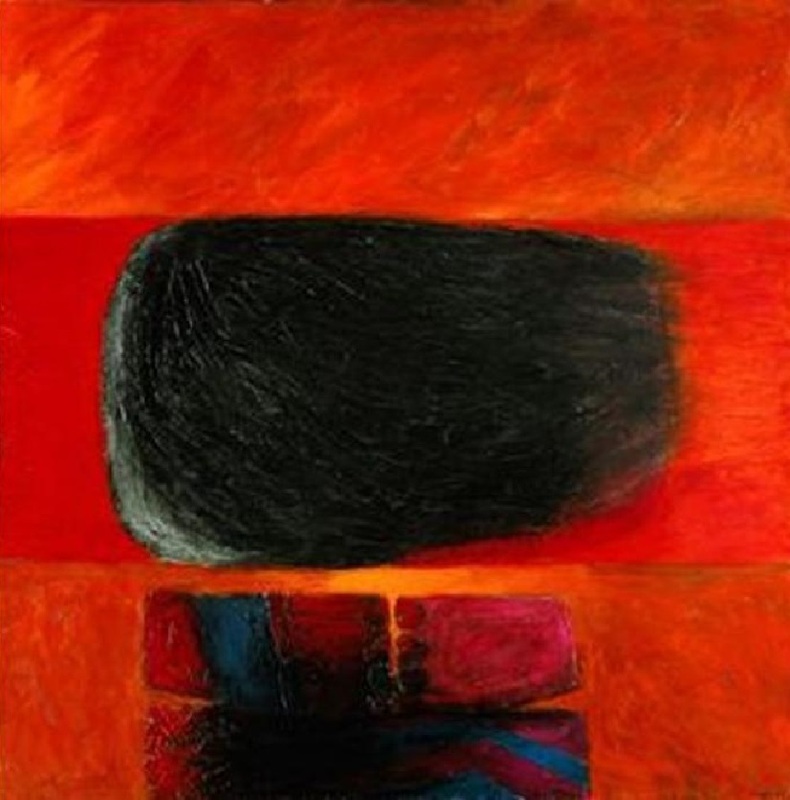 His work is represented in important public and private collections throughout the world.